In 1995, the governor of Alabama, Fob James, spoke before the state board of education, which was then considering a proposal to insert a disclaimer about evolution in all biology textbooks used in the state. In The Creationists (2006), Ronald L. Numbers primly writes, “The Republican governor, Fob James, who presided over the board, strongly backed the disclaimer, saying that he personally believed the biblical account of the origin of life to be true.” Randy Moore, Mark Decker, and Sehoya H. Cotner’s Chronology of the Evolution–Creationism Controversy (2009) is a little more vivid, writing, “During an appearance before the Alabama State Board of Education, Forrest Hood ‘Fob’ James...ridicules evolution by slowly crossing the stage, beginning in a crouch and then ending erect.” By these accounts, it seems that historians have taken the speech in stride. But in fact, James’s remarks were rather more colorful than you might have expected from those descriptions, as I discovered when I recently found a transcription in NCSE’s files. Let me go to another subject that I’ve been reading about in the newspaper. It seems that the subject of evolution has arisen again in this term as it arose the first time I was governor. I didn’t plan to address it, but I’ve been reading about it in the newspapers, and I thought I needed to comment on it, not necessarily as your governor, but just as a person. Now I don’t want you to take this that I’m not an animal lover. [laughter]....again I’ll share boyhood experiences with you and really adult experiences. I am an animal lover. I grew up living with, sleeping with, and constant companionship with cats, dogs, goats and sheep. I had a pet raccoon that had some wonderful traits; you’d give him scraps and he’d wash every scrap before he ate it. And if you don’t believe me, get you a pet raccoon and you’ll learn something about that. I had a pet squirrel. When I was a boy at Camp Dixie, we studied snakes, and I learned early on till this good day, I could smell a rattlesnake or a moccasin—when you spend as much time in the swamps as I have those instincts become second nature. A king snake is a friend. At Camp Dixie, I had a pet king snake that slept under my pillow. That is true. Anybody mistreating animals, anybody mistreating animals to me is repugnant, repulsive, it’s repugnant. What I’m talking about has got nothing to do with that. Uh, [inaudible] of Africa. A cheetah was vicariously a good friend of mine when I was a great fan of Tarzan. [laughter] When you’re talking about monkeys, I have jitterbugged to songs about monkeys. How many people of my age remember, “Abra Dabbra, Dabbra, Dabbra” [laughter]. How many people remember that? But relatively to this question, inasmuch as it’s a free country, one can believe that descended from mine and Tarzan’s friend, or whatever, but I believe that what the board has been working on, puts that in perspective. But I thought I ought to give you a layman’s point of view on that subject. I’m serious about the origin of humankind. As a [?] person, I strongly recommend Genesis. NCSE was apparently circulating the transcript to interested parties at the time, since there were multiple copies of it in the folder, but interest undoubtedly waned. This textbook discusses evolution, a controversial theory some scientists present as a scientific explanation for the origin of living things, such as plants, animals and humans. No one was present when life first appeared on Earth. Therefore, any statement about life’s origins should be considered a theory, not fact. The word evolution may refer to many types of change. Evolution describes changes that occur within a species. (White moths, for example, may evolve into gray moths.) This process is microevolution, which can be observed and described as fact. Evolution may also refer to the change of one living thing to another, such as reptiles into birds. This process, called macroevolution, has never been observed and should be considered a theory. Evolution also refers to the unproven belief that random, undirected forces produced a world of living things. Why did the major groups of animals suddenly appear in the fossil record, (known as the Cambrian Explosion)? Why have no new major groups of living things appeared in the fossil record in a long time? Why do major groups of plants and animals have no transitional forms in the fossil record? How did you and all living things come to possess such a complete and complex set of instructions for building a living body? 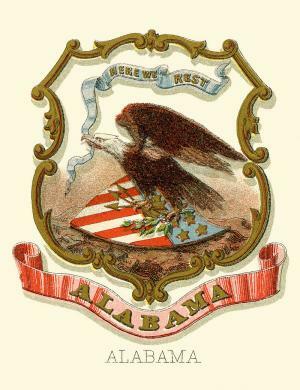 The disclaimer remained in Alabama biology textbooks till 2001, when it was replaced with a weaker but still objectionable version. Vestiges of the disclaimer are still contained (PDF, p. v) in the Alabama state science standards even today. In Israel, Will Creationists Reign?